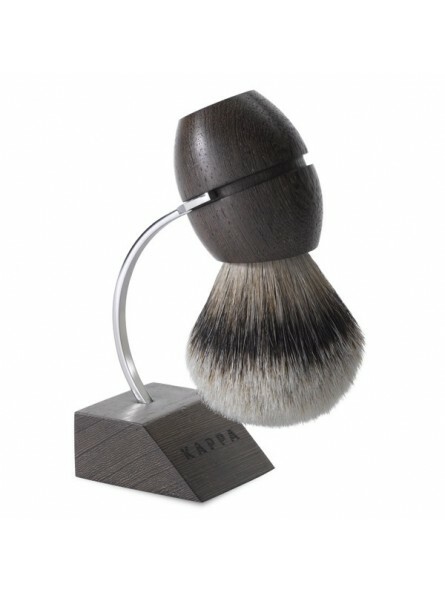 Acca Kappa Silvertip Badger Hair Shaving Brush 1869 Wengè Collection. 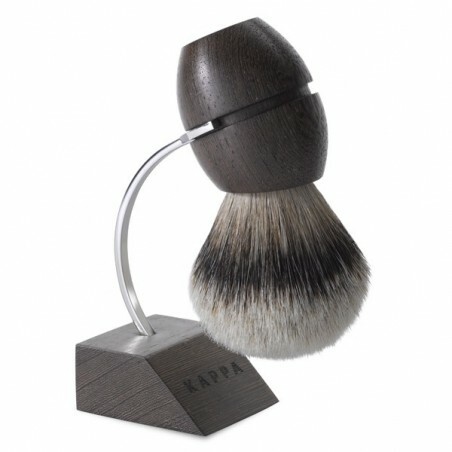 This luxury shaving brush has an ergonomic handle made in Wengé wood and is filled with pure silvertip badger hair. The metal support is made in hand polished stainless steel and Wengé wood. The 1869 shaving brush, sports an original ergonomic shape that allows it to follow the contours of the face. This is a radical innovation within a traditional genre that is shaving. Brush dimensions: Overall Length - 114mm / Handle Length - 55mm / Loft - 59mm / Diameter - 25mm. Silvertip Hair - The finest, animal hair is hand-picked which is then separated into bundles of same length. The hairs are then tied and cut inside a form that defines the curved shape of the brush, which is then fastened inside the barrel. The hairs are flexible, soft and hardwearing, and made of superior silver badger bristles. All of this guarantees the brush will last for many years to come. The tip is soft, natural and skin-friendly, It creates a thick, smooth lather when massaged onto the skin gently and generates a perfect shave. The Handle - The handle is made in superior African wengé wood. It has a dark brown colour that is beautifully streaked with a thin black grain. The wood is polished and hand-treated with natural waxes to ensure that it remains intact over time. The brush is highly attractive and practical. This is craftsmanship at its best and certainly won't disappoint.